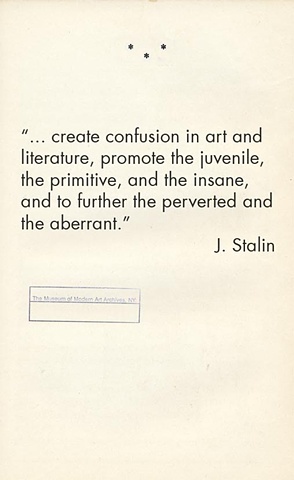 On July 31, 1955, a supposed quotation from Joseph Stalin appeared in the article, Modern Art as a Tool of Propaganda by Eleanor Jewett in the Chicago Tribune. 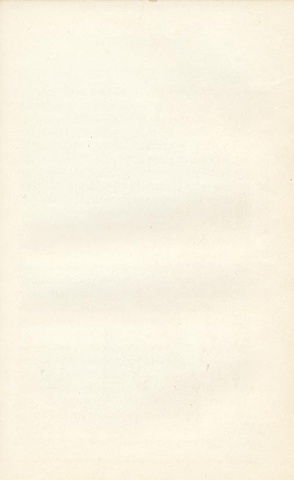 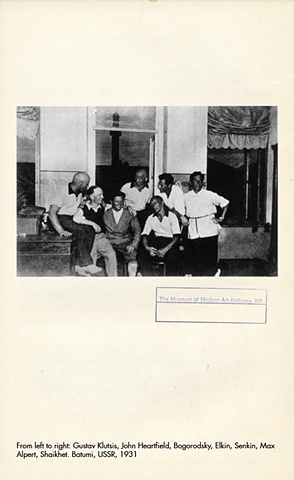 According to the article, around 1932 or 1933 “…Stalin…at a meeting in Moscow of the International passed the order along to 'create confusion in art and literature, promote the juvenile, the primitive, and the insane, and to further the perverted and the aberrant'" as a Communist International's policy in Western countries. 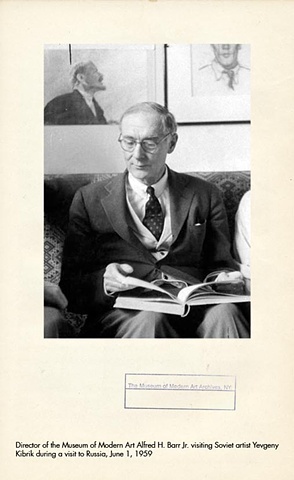 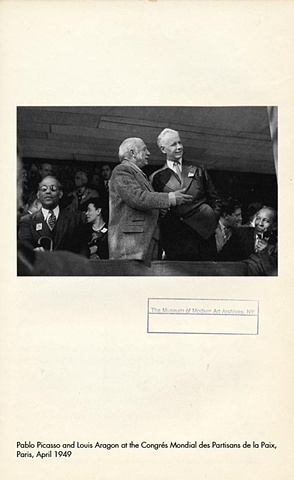 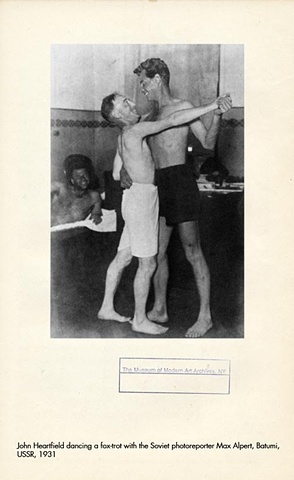 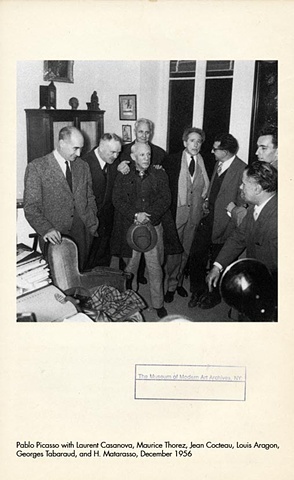 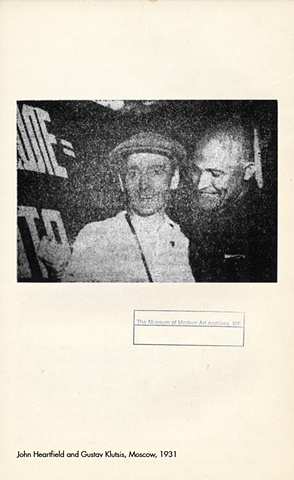 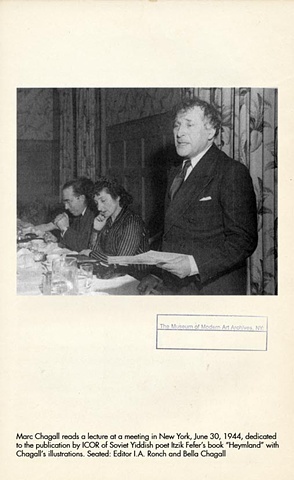 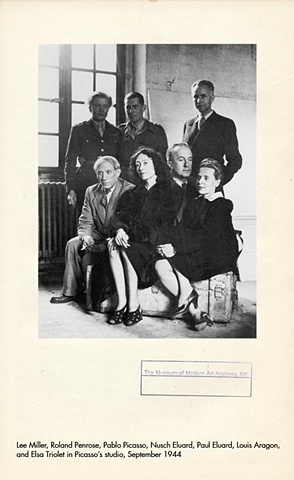 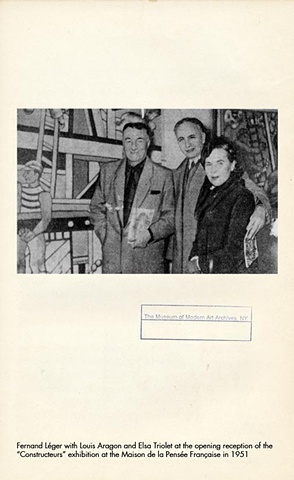 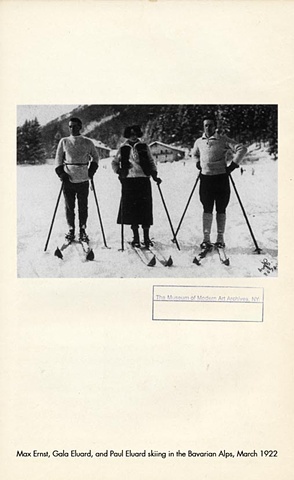 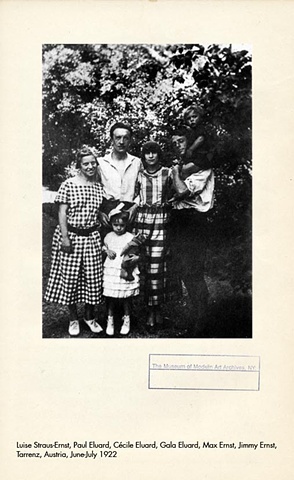 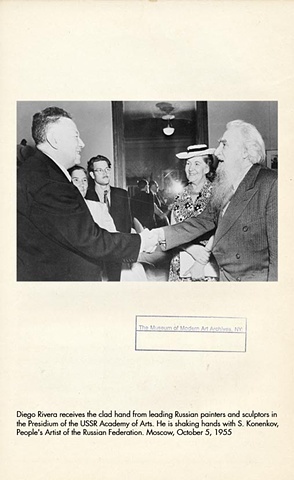 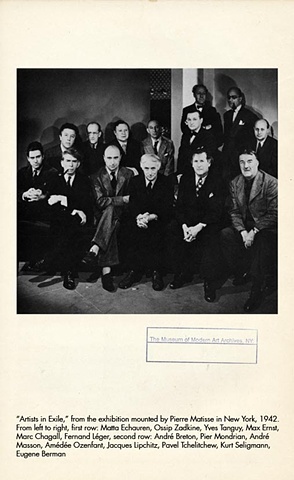 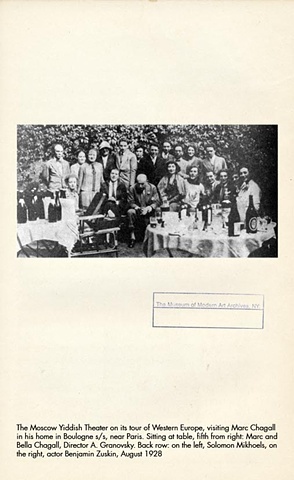 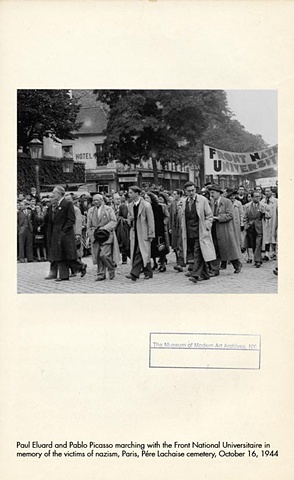 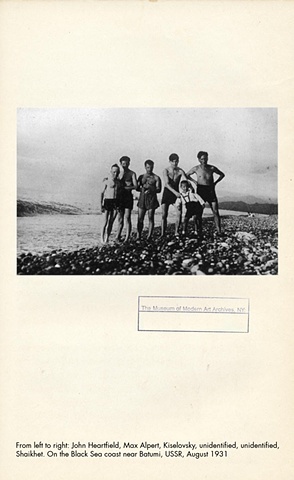 Firmly believing that both (Jewett's and Gaebelein's) quotations were fabrications, Barr however, conducted an investigation and requested expert opinion from several specialists on Soviet art including Max Eastman, Vera Alexandrova, Arthur Voyce, Hellmut Lehmann-Haupt, and Louis Lozowick. 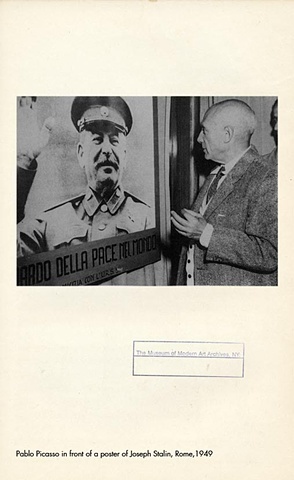 These experts were unanimous in that it is highly unlikely that Stalin ever made such statements. 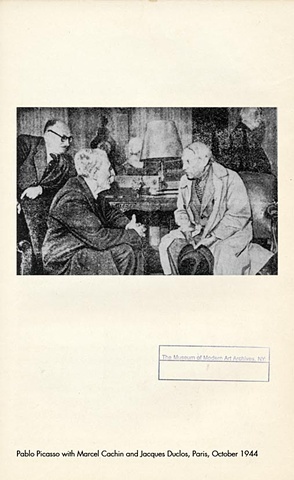 The main argument expressed by Barr and the experts to prove that the quotation was false was that Stalin suppressed Modern Art within the borders of the Soviet Union and instituted a propagandist official art of “Socialist Realism” since the early 1930s and therefore could not have made such a statement in support of Modern Art. 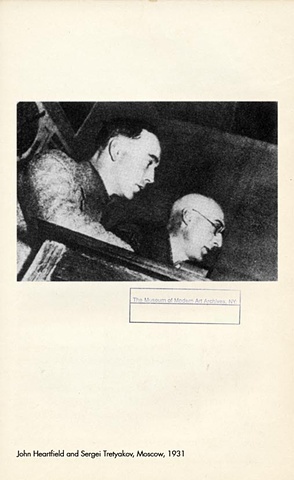 However, Barr’s investigation failed to prove with complete certainty that this alleged quotation by Stalin was fabricated. 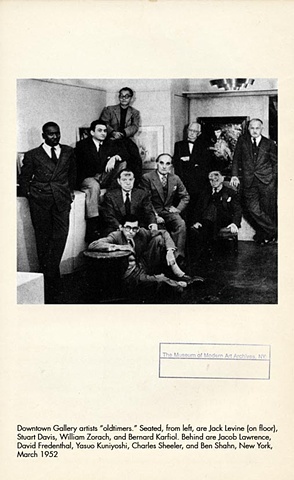 It is commonly known, however, that the Soviets believed that art was an important weapon in class struggle. 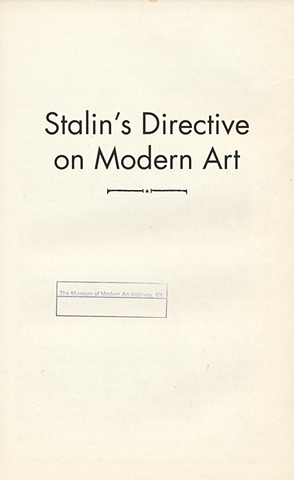 It is plausible that Stalin believed that Modern Art was inherently a subversive weapon for any society, and that’s why he suppressed Modern Art within the borders of the Soviet Union after coming to power. 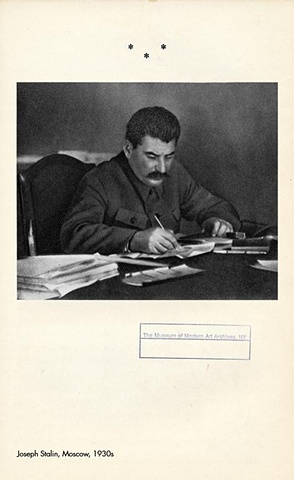 It is also plausible that he was a double-dealer: Stalin could have viewed both Socialist Realism and Modern Art as weapons that can be used in different circumstances. 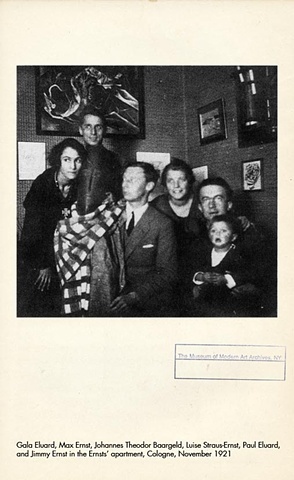 Therefore, it is conceivable that while Socialist Realism was employed inside the Soviet Union as a weapon of propaganda and to delude the Russian population, for external use in its struggle against the West, however, the Soviets employed Modern Art, believing that it is a powerful tool to create confusion and disintegration within the Western society. 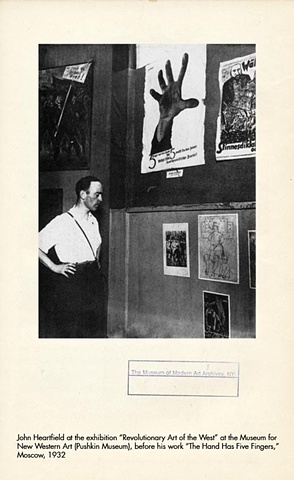 If Stalin in fact supported Modern Art in the West, this dramatically subverts the historical claim of Modern Art in the West as the expression of the very spirit of freedom and individualism of the Western democracy as opposed to the Soviet state-control “Communist” art of Socialist Realism. 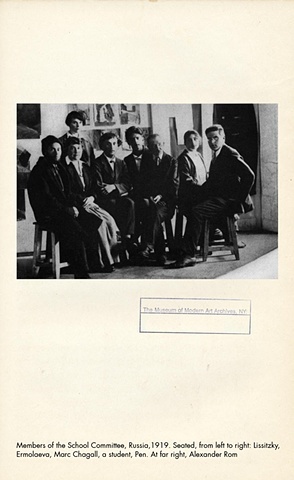 In my project, Stalin’s Directive on Modern Art, I accept the possibility that the secret directive on Modern Art by Stalin was authentic and that there is truth in the conspiracy to promote and support Modern Art in the West starting in 1930’s as a way for the Soviet Union to subvert the West. 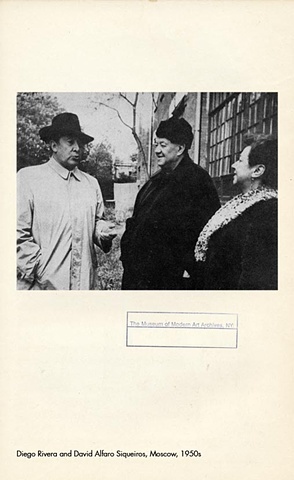 Stalin’s Directive on Modern Art is permanently on-going and uses the method of historical research--tracing the overlapping histories of important Modern Art figures and Communist politics in the 20th century to suggest the possibility of Soviet conspiracy in the field of Modern Art. 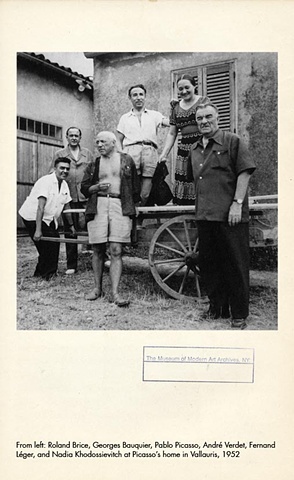 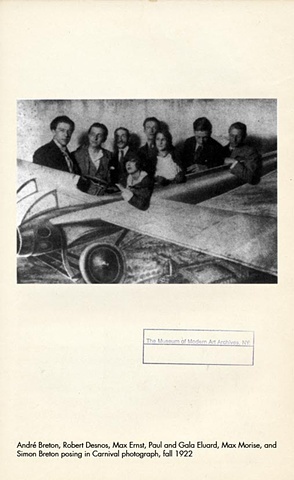 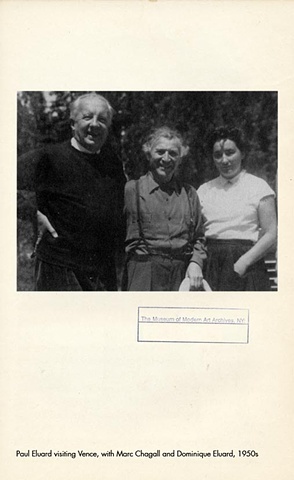 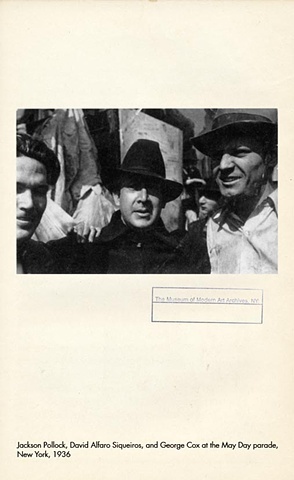 Stalin’s Directive on Modern Art is based on historical photographs that establish the connection between Modern Artists and Soviet or Western Communist cultural or political figures (i.e. 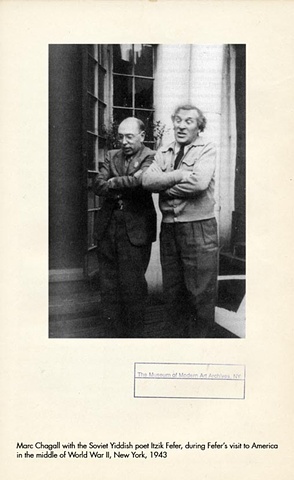 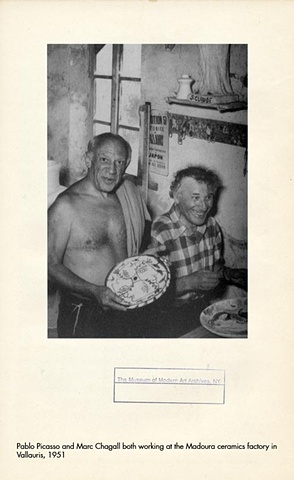 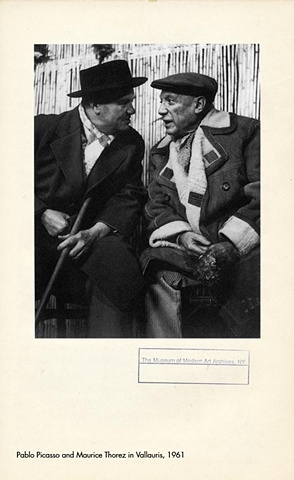 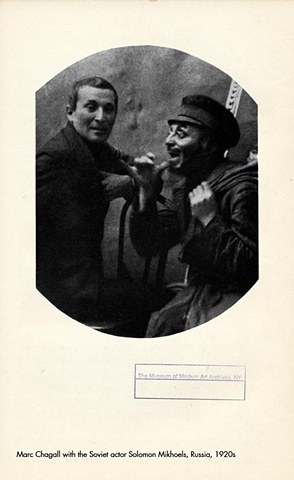 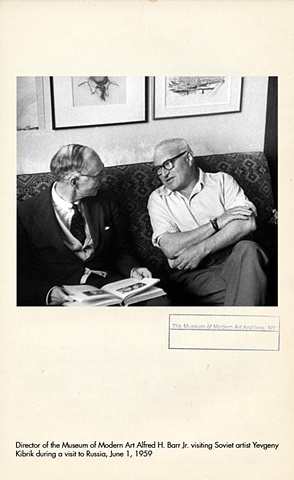 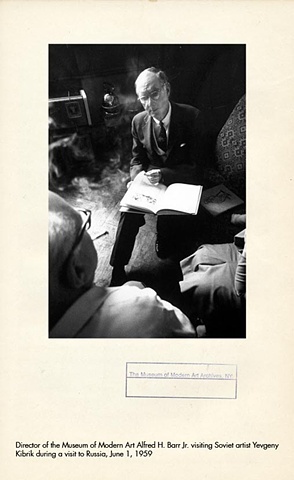 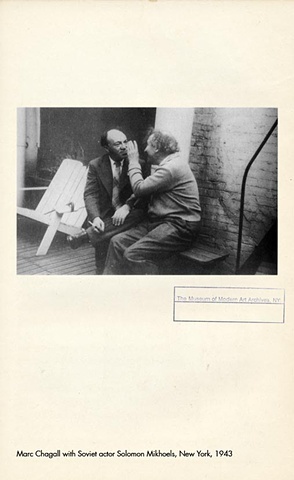 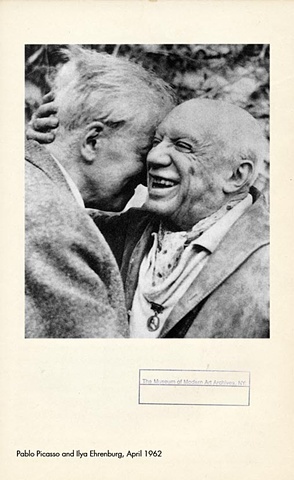 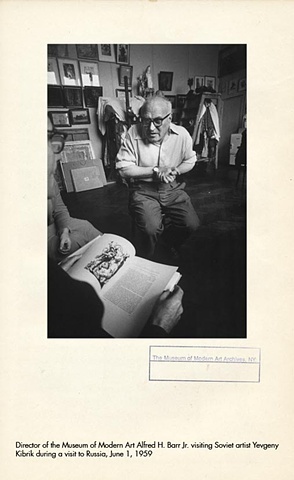 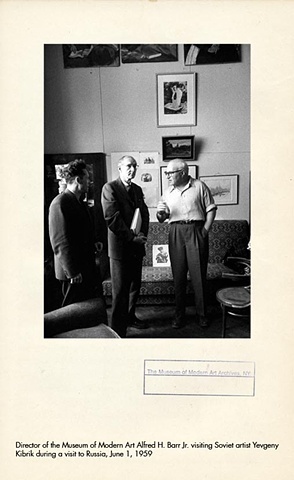 Alfred H. Barr photographed in Moscow, in the studio of an official Soviet artist or Picasso photographed with the French Communist leader Morice Terez). 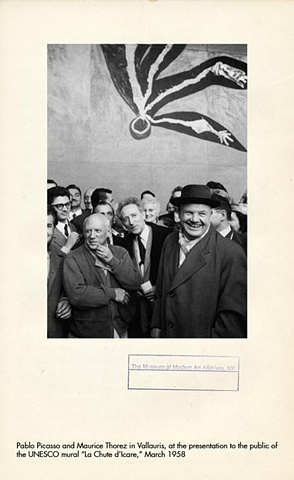 Although these photos do not prove the thesis of the Soviet Union using Modern Art to subvert the West, they establish a connection between the subjects in the photographs--bringing into question the unresolved question: What was exactly the relationship between the Communist movement and Modern Artists?